It’s episode two and we’re gonna celebrate like only real makers can – with a little crafting, of course! Join me TONIGHT for two fun live crafting events! DIGITAL RED CARPET with PLANNERS GONE WILD! Ask me your questions and craft along with me as I create some simple planner crafts! You can even enter to win a $100 gift card to JOANN! Did you miss the Planners Gone Wild event? No worries! 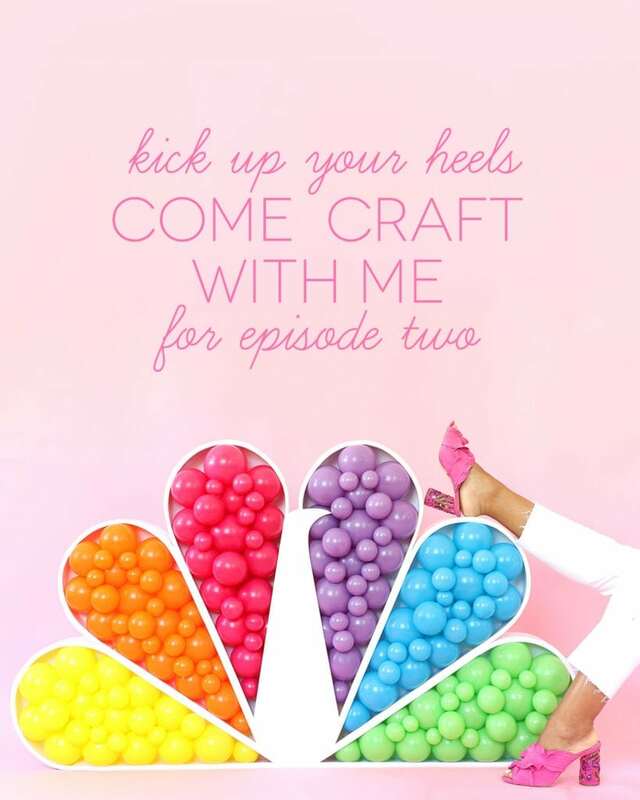 Come craft with me during Episode 2 of Making It! During each commercial break, I’ll be coming to you with a super quick and easy craft project. It should be interesting, since I have no clue how many commercials there will be or how long the commercial breaks will last! Wish me luck! You can also enter to win another $100 JOANN gift card during this time. You have until 11:59PM EST on Wednesday, August 8th to enter! I’m glad to see crafting getting some love! Team Amber!!! I love all the excitement and vibrant color you bring to crafting. So inspired by you and so excited you are on making it!! This was fun so proud of you. Yay for winning a patch! I just love your energy and your projects. Just finished watching episode 2. So sad it is only an hour long. Thought your circus tent was FANTASTIC! Can’t wait till next Tuesday. Love seeing various crafting tools and techniques being used. Both your projects were awesome tonight Amber! I wasn’t able to watch live tonight ? and I haven’t really figured out how my DVR works, so I have to wait till morning to see the entire episode. However, my mom can’t keep a secret, and while she is clueless to the concept of this being a competition show and someone going home every week, she sure did let it slip that you won something tonight ? Amber, I am SO impressed and proud of you! Little did I know you’d come this far with your crafting back in the day when you used to be on the PTI Forum. I can’t even imagine the pressure you’re under here not only with your creativeness but also with a short deadline. LOVE what I’ve seen, and you are the Glitter Queen! Best of luck to you! SUPER sad that I can’t watch this show in Australia, but I bet you did amazing and I’m going to look for all the information I can as every episode gets shown on TV to try and keep up with it all! But you’re a superstar no matter what happens! Congratulations on your faster craft patch! I love the show and all the great projects you made! I love Making it! It’s so much fun! i love how the show inspires me to really whip out my crafting supplies and make something (big or small, elaborate or simple) every chance I get. Loving the show because of knowing you – – gives a vested interest in rooting for you to win!! Congrats on the patch! I had so much fun watching you craft during commercials last night!! Loved tuning in during the live chat in PGW! My jaw keeps dropping. You guys are amazing. Yay, for getting a patch! I love the show! Love the show and your blog ? I really enjoyed seeing the whimsical creations for kids. I thought your light marquee on top of the tent was such a fun touch. The other standout to me was the rainbow fort. I’m definitely loving the show and all the humor! Your circus tent was so awesome! Still watching! I am so happy to see a craft show on TV! And even happier that you are on it! I love all the creativity on the show. So inspiring! I’m so impressed by the creations of all the Makers on the show! I LOVED your terrarium (congrats! )…making your own glittery Golden Gate Bridge?! WOW!! And your circus tent was so cute. Rooting for you! Loved your circus fort and the toy box! Congrats on the patch!! I love your work!! You did so well and won a patch! And I really loved your Qurcus! Keep going girl!